Last week Australian Food News reported that its competitor Woolworths would no-longer sell apples with added wax, but Woolworths will not start doing so until February 2017. Coles says it will start selling no added-wax apples from Wednesday 18 January 2017 after having conducted customer trials in Western Australia, South Australia and the Northern Territory. Coles supermarket group said it decided to remove the added wax after its research indicated more than 70 per cent of Australians like the idea of buying no added wax apples. Coles General Manager of Fresh Produce, Brad Gorman, said Coles is always looking for new and innovative ways to improve its fresh produce. 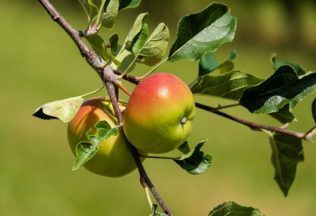 “We know our customers want to eat more natural, fresh foods, so we are proud to work with apple growers all over Australia to remove the waxing process and offer a more natural version of this Australian favourite,” Gorman said. One of Coles apple suppliers, Battunga Orchards, said not having to add wax to its apples will allow it to reinvest time and cost savings into its business. “There’s no question that not adding wax will mean significant savings for us – it will mean savings on labour, maintenance of machinery and the cost of wax,” Battunga Orchards grower Rob Thompson said. “I’ve seen apples with no added wax in Europe and thought it would be fantastic for growers in Australia,” he said. Food grade wax based on carnauba wax or shellac is traditionally added to apples to help increase shine. Carnauba wax comes from a palm tree found in Brazil called Copernicia prunifera. Shellac comes from a secretion of the lac bug found in Thailand India.